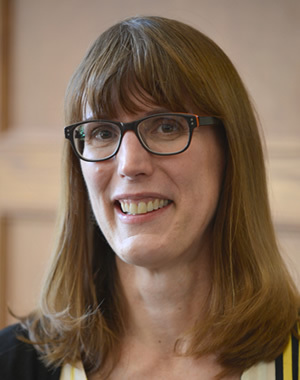 Kristin S. Seefeldt is an associate professor of social work with a courtesy appointment at the Ford School. Her primary research interests lie in exploring how low-income individuals understand their situations, particularly around issues related to work and economic well-being. She is the author of Abandoned Families: Social Isolation in the 21st Century (Russell Sage Foundation, Working After Welfare (W.E. Upjohn Institute Press), America's Poor and the Great Recession (Indiana University Press), as well as numerous journal articles. Currently, she is conducting research to understand how the decline of unionized jobs has affected the intergenerational well-being of families. Previously, Seefeldt was the assistant director of the National Poverty Center. Seefeldt holds a PhD in sociology and public policy from the University of Michigan and an MPP from the Ford School.